Home / Jewlicious / Can AeroMexico’s DNA Discount Work for EL AL? The premise is that a video crew interviews residents of Wharton, Texas, all of whom have no interest in Mexico or visiting Mexico. 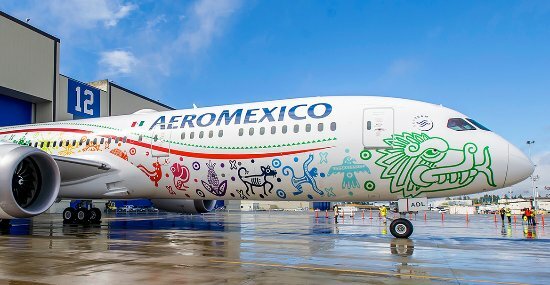 But when a “DNA” text shows that they have Mexican heritage, and AeroMexico will offer them a discount equal to this “DNA percentage,” some of their tunes change. Note… I sense that the marketers are playing a little game of counting American heritage in Southwestern states that predate the Mexican American War as “Mexican” (when Texas and the Southwest were Mexico). But … what if El Al were to offer discounts to Ben Gurion or Eilat to Europeans, residents of Turkey, and others who learned that DNA tests showed them have “Jewish” heritage? Could be quite a marketing coup. No? and produced by DHO Studios for Ogilvy.